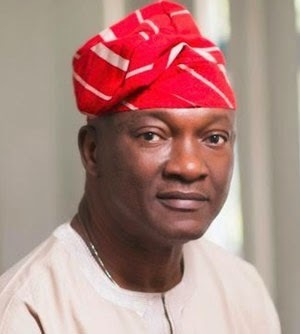 Mr. Jimi Agbaje, the governorship candidate of the Peoples Democratic Party (PDP) in Lagos State, has urged Lagos voters, especially Igbo residents to vote massively for him and push the ruling party in the state, All Progressives Congress, APC into the Atlantic Ocean. Agbaje, Thursday, during his visit to Igbo traders at the Alaba International Market, urged them to ignore the threats made by the Oba of Lagos, Rilwan Akiolu, that if they fail to vote for his anointed candidate, Akinwunmi Ambode of the APC, they would die in the lagoon within seven days. “Nobody can push you into the Atlantic Ocean,” Agbaje assured them , adding that ” rather you should use your votes to push the APC into the Atlantic Ocean by voting massively for the PDP on Saturday” . He labelled the threat of the APC as the antics of a drowning party. “In the last 16 years, the APC has been full of arrogance. This arrogance must end once and for all. Saturday is the time to say enough is enough ” he said.